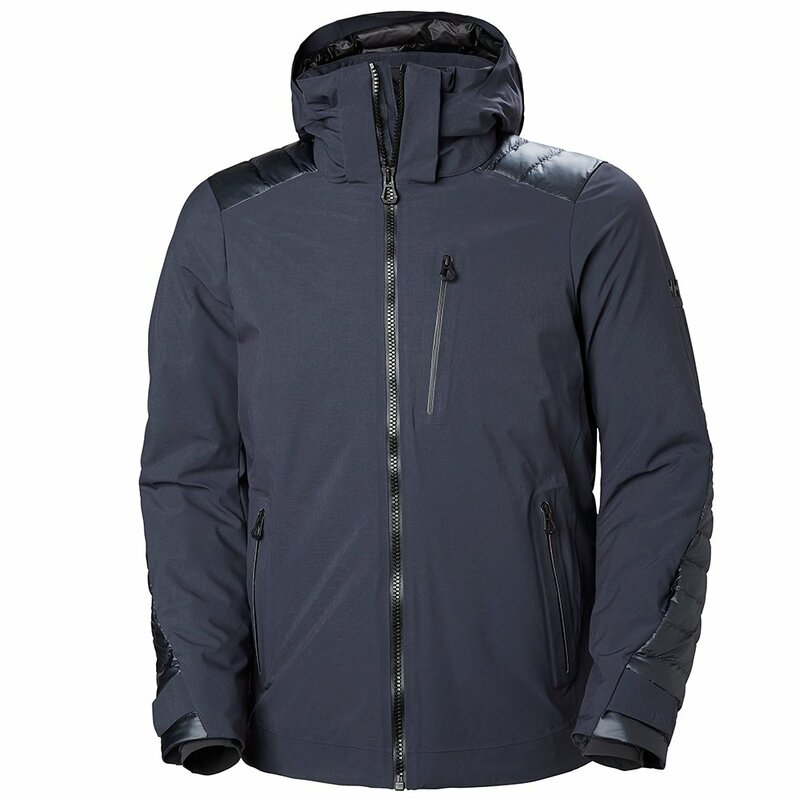 Helly Hansen brings together the latest style trends and tried-and-true design pillars in the Helly Hansen Slingshot Insulated Ski Jacket. Flashing a hint of a classic leather moto styling, this jacket is an all-out technical piece of skiwear. Helly's cutting-edge H2Flow™ system provides a smarter form of ventilation, while the 2-ply outer stretch poly protects against weather elements. A mix of PrimaLoft® insulations keeps things warm. The Helly Hansen Slingshot Insulated Ski Jacket also includes a goggle and battery-saving Life Pocket+™ aerogel-insulated pocket. "Does this jacket have underarm zippers for ventilation?" "Thank you for your inquiry. Unfortunately, there is not a zipper for ventilation on the Helly Hansen Slingshot Insulated Ski Jacket."